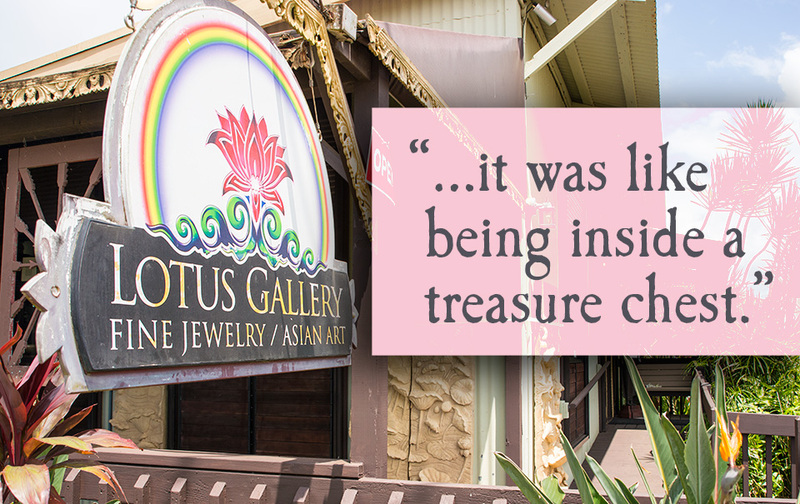 Visit The Lotus Gallery in Kilauea, Kauai for a vast collection of jewelry and other shopping. 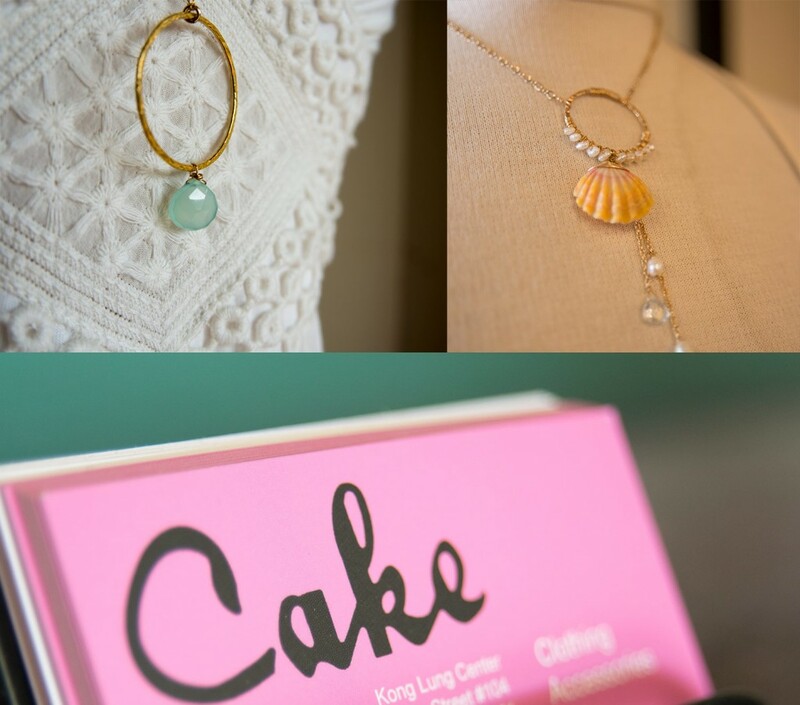 Even though the boutique’s name is Cake, there’s lots of eye candy on Cake’s Instagram. Follow Cake Boutique on Instagram @cakeboutiquekauai to see new in-store arrivals, the latest styles, and inspirational quotes. Mahalo to Joyce D. of Bellevue, WA for this great yelp review. Wow, I love this little store. How can you resist the ubiquitous “Mahalo for removing your shoes” tiles? 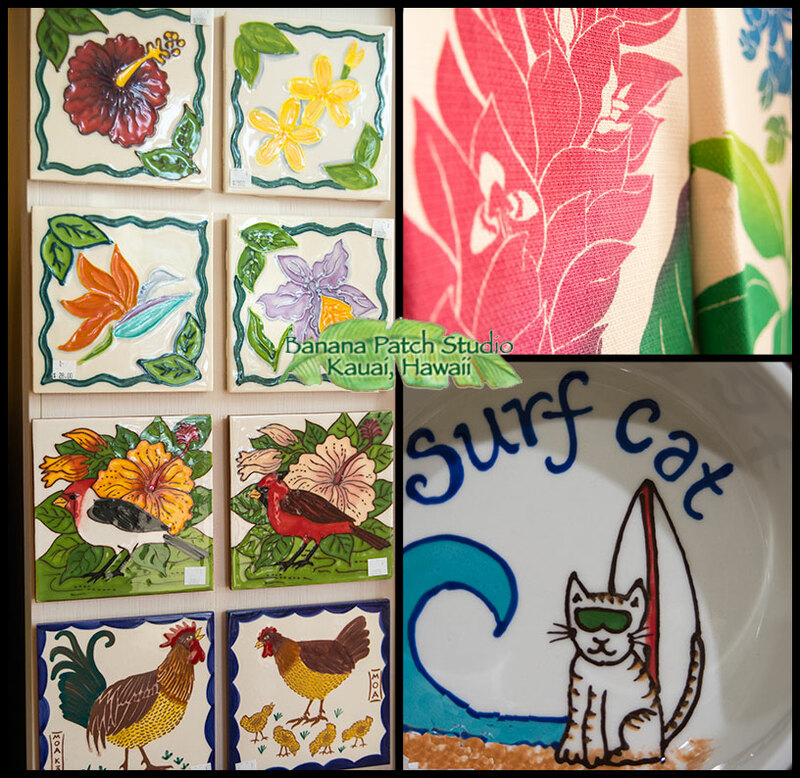 But even if you don’t care for those, this place has so many beautiful things in it – great variety of tiles, wooden bowls, straw bags, jewelry etc. Not tacky, souvenir stuff, but nice things I’d buy even if I wasn’t on vacation. 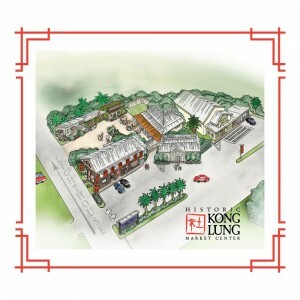 The workers are friendly, they’ll ship stuff to the mainland, and there’s a corner of comfy sofas and benches outside for the non-shoppers who want to chill while you shop. Some of the things in here are quite pricey (like Niihau shell jewelry), but there are lots of little, affordable things as well. 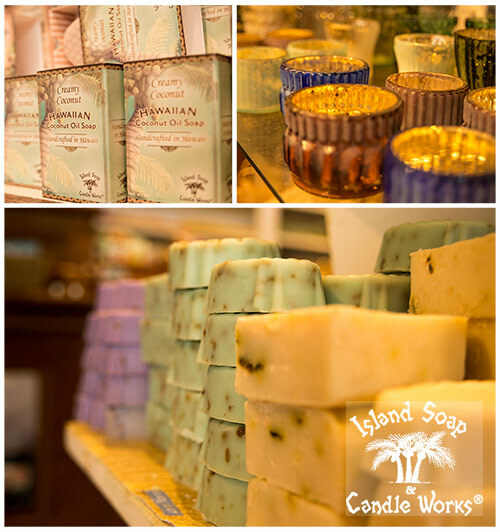 Located in Kilauea on the beautiful island of Kauai, Island Soap & Candle Works was established in the sleepy town of Kekaha in 1984. What began as a small line of handmade soaps has, over time, expanded to become a full line of natural Hawaiian Island Botanical lotions, beeswax candles, lip balms, salves and other gift items. Stop by the store to see what’s new.